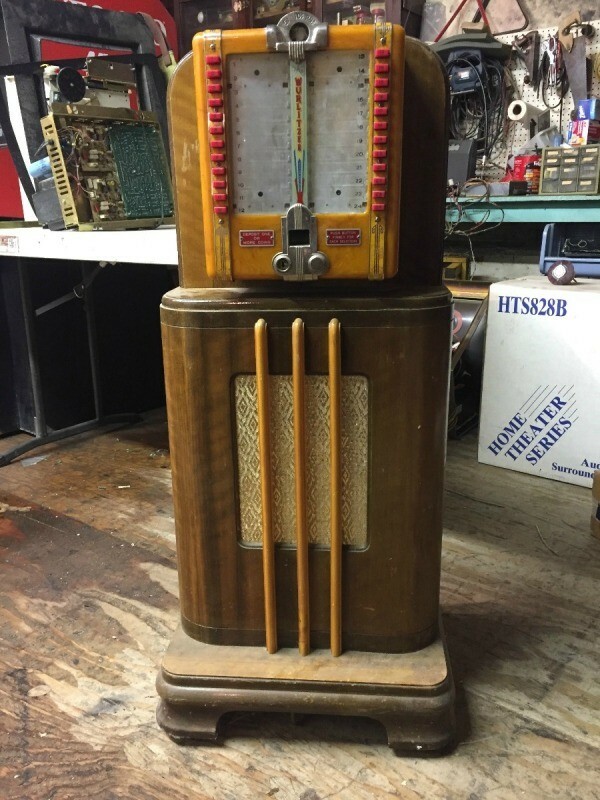 This is a guide about finding the value of a Wurlitzer juke box. 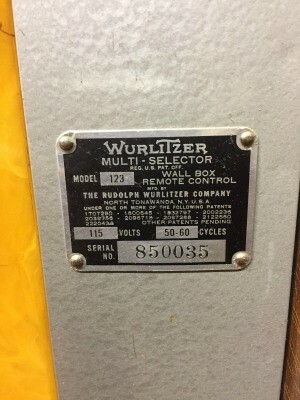 If you own an old Wurlitzer juke box, you may be interested in knowing its value. Here are some tips to help you get started in determining what its worth. I have a rare Wurlitzer model 123 Stroller. I would like to know the value of it? Research shows only about 200 were made. It is all original. Thats the Q and A forum but there are charts on the site for more information. I do not believe the "wall" units will be as valuable as the full machine unless you are lucky enough to find a true collector that doesn't have this model. Model 123 was made 1941-1942 as a wireless wall unit so yours may be a "specially" made unit. 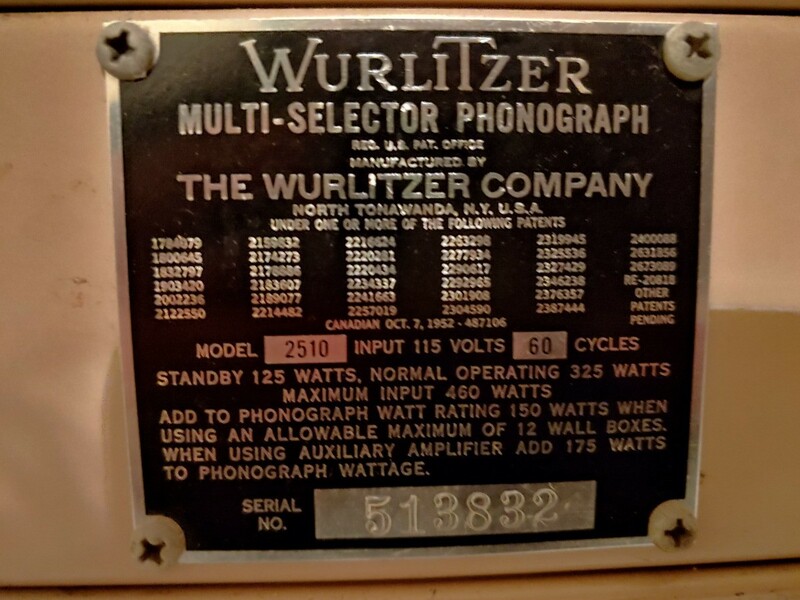 I am trying to determine the value of a 1970s Wurlitzer Fuego jukebox. Can you please post the model number and if it includes the records, is working, and a general indication of the condition? With more information I can do a better job of helping you with value. Jukebox prices are all over the place and depend on many things. Also, do you have the manual? Has it been worked on or rewired? Does it have all the original parts? If you can post a picture, even better. These are neat items. I have learned (just as some food for thought) if it is in bad shape or is not working, if you take it apart, it is worth more in pieces selling off what does work and is not broken. Looking forward to learning more about your piece so I can help you find today's market value. While I cant find any recent sales, I can paint you a picture of the sales in last 8 years or so and it should still hold true as the market for these things has not fluctuated muchI think it has held fairly steady. The value there would be a bit higher than the US because of the history of the machine. All of that saidjuke sales are all about supply and demand. You will need to learn what the supply and demand is in your area by checking your local Facebook market place, Craigs list, LetGo and Next door sites. You can use the values above as a baseline if you cant find any local sales in your area. If you are with people coming to your house, you can use the info above (always start higher so you have wiggle room because people negotiate down) and sell it through one of those venues. I would not recommend eBay or any venue where someone may want you to ship it. Not worth the hassle. If you dont want people coming to your house, I suggest finding a shop in your area that specializes in arcade games and jukes and having them consign it for you. They will get the best draw and you will get it out of your house. You will get less profit, but, have less hassle and probably will get the best value overall from the sale. Post back what you get for it and where you are. I love learning what things are worth in different places. 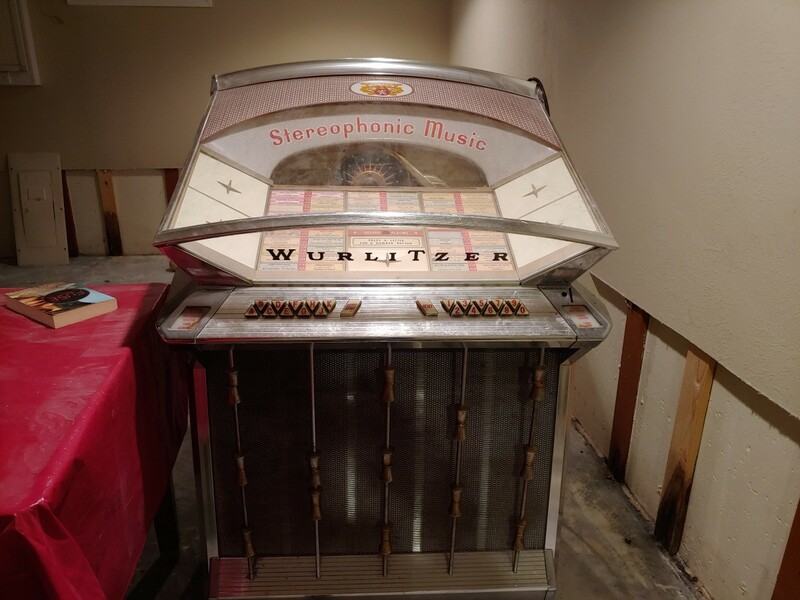 I have a Wurlitzer jukebox, model 1800. It is in good condition except that it needs a sound module. What would it be worth? Can you post a photo? Does it do records or CDs? Is all the glass intact? Do all the lights work? Is it coin op? Does that work? Does it come with the music? Does it have the manual? There are so many variables on Jukeboxes that you would need to have an exact match to yours to find the value. They come up on eBay periodically and on EBTH and some of the other big sites. There are also lots of smaller, boutique sites that specialize in jukes that have sold ones--so keep checking back for one that matches yours EXACTLY!! Also since you need a sound module, that will devalue it. See if your town has a place that specializes in jukes or jukes and video games and if they can help you place a price on it for your town AND help you sell it. These are almost impossible to sell on your own...for more reasons than I can count...starting with all the variables above and ending in you will want someone to pick it up and that can be a huge challenge especially if they don't have the right equipment to do so and do damage to it. If there are few out there and a high demand, you could, in an auction setting, fetch a decent amount!! Post back what an expert from your town tells you!!! The value differs from city to city too!! If there are a glut of them, it lowers the value even if it is in pristine condition. Looking forward to hearing what you learn! I have seen them go for over $1000.00, but if you can find a collector who is very interested in it, you would be able to get more. 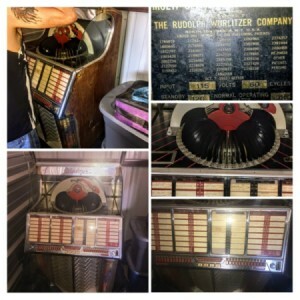 I have a Wurlitzer 1954, model 1700f phonograph juke box that I'm looking to sell. It works great. I don't know its value. Does anyone know? These can be several thousand dollars. I would look on ebay regularly for at least a few weeks, until you get an idea of what they are selling for. There are many, many, many variables with these sweet things!! If this one is an exact match to yours in condition and what it comes with, it sold for $3,500 in 2014...which with inflation would be slightly more today since the Jukes have (at least in my area) appreciated somewhat. Another factor is where are you? If you are in a place where there are lots of these items, the value drops as it becomes a supply and demand thing. Around me, these are hard to come by, so the value increases! Cool item! Lucky you for having one!!! 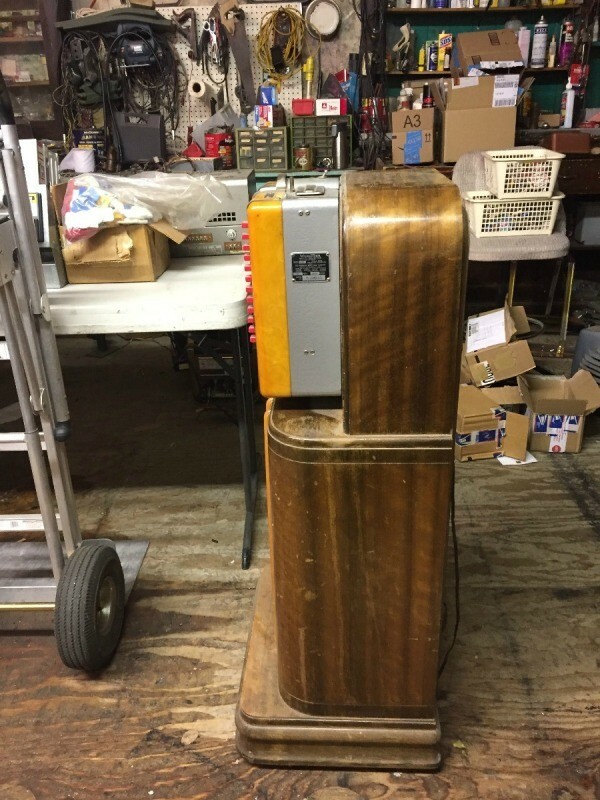 I would appreciate an estimate for this jukebox. It is in perfect working condition. Do you have a photo? You say it is working, but there are a bunch of other things collectors look for. What records does it come with? Do they work? Do you have the manual? Is it coin op or converted? What kind of plug does it have (original or replacement)? Is the glass all intact? Do you have the book? The more it is to original, the more it is worth. It had some issues so if yours is in better shape and has more of the original things listed above AND you are in place where this particular model is in HIGH demand, you could fetch more. If you are in a place where these are a dime a dozen, you will fetch less. Jukes are a supply and demand item--we have tons of them in Pittsburgh, so they are always cheaper than in other cities where there are just a few around. Selling these on your own can be a huge hassle as they are heavy and fragile and the person getting it needs to be prepared to move it safely. I have heard horror stories from friends who have estate sale companies of DIY pick ups of jukes where they did things like smash the glass on the way out the door and demanded a refund for broken glass and worse, didn't secure it in a truck well enough and it shifted and went a** over teacups in the truck causing irrevocable damage. These are best left sold through a pro (dealer or store) who can safely deliver it and keep it safe! Post back if you sell and the amount! I love learning values in other parts of the country! Thanks for sharing! I have a model 3100 Wurlitzer Americano that I am going to sell. How much is it worth? I have a client who has a Wurlitzer jukebox model 2017. They say it's in good condition. I would like an estimate of value. I dont see that model number on eBay. Check eBay often for the next few weeks. See what the item has sold for. This is much more important than what the seller originally asked for. I would like to find the value of a Wurlitzer jukebox I have. It is in fair condition. The cord needs to be replaced and the coin return does not work. I have had it for 35 years. It worked until the cord dry rotted. Any in put would be appreciated.